The word “shrub” is derived from the Arabic sharbah, which means “a drink.” “Sherbet” and “syrup” also come from this Arabic root. Also called switchels or haymaker’s drink (make hay while the sun shines! ), shrub has some origin in 17th century England where vinegar was used as an alternative to citrus juices in the preservation of berries and other fruits for the off-season. It was the vinegar that made it so popular in America. 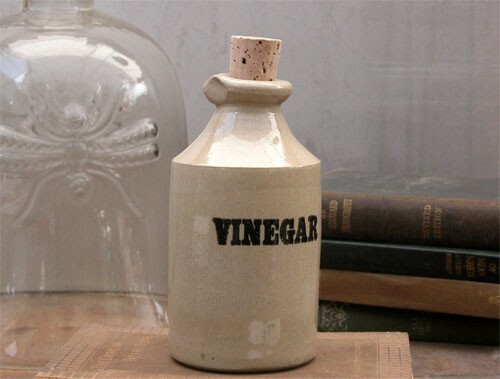 Credited with being able to bring down fevers, vinegar was traditionally viewed as having cooling attributes. Shrubs also gained popularity during the Temperance Movement and many 19th and early 20th century housekeeping manuals contain recipes for them. Nineteenth-century Americans frequently pointed to the Bible, citing passages that indicated that the ancient Israelites had used vinegar-based drinks to cool off. Ruth, for example, was credited with sharing a vinegar-based drink while working in the fields of Boaz. Captain James Dacre, a British captain, who battled with the USS Constitution during the War of 1812, jokingly called for the drink to be prepared for the Americans whom he hoped to capture. But Dacre’s fantasy of serving the Americans their own drink as they surrendered went down when his ship, not the Constitution, was sunk. By the 19th century, American recipes for shrubs used vinegar poured over berries, which was left to infuse anywhere from overnight up to several days. The fruit would then be strained and the liquid would be sweetened with sugar, honey or even molasses, and then reduced to make a syrup. The sweet-and-sour syrup could be mixed with either water or soda water and served as a soft drink, or it could be used as a mixer in alcoholic cocktails. Shrub eventually fell out of popularity with the advent of home refrigeration and the rise of industrially produced soft drinks. Drinking vinegars, however, have recently come back into vogue. Apple cider vinegar, commonly mixed with lemon and/or honey, is used medicinally as a tonic for weight loss and to dissolve gall and kidney stones. The serving of vinegar-based shrub drinks became popular again beginning in 2011 in American restaurants and bars and then went on to Canada and London. The acidity of the shrub makes it well suited as a before dinner drink, or as an alternative to bitters, because unlike cocktails acidulated with citrus, vinegar-based drinks remain clear when shaken. The basic formula for shrub is 2 cups fruit to one pint of at least 5% acidic vinegar. The best fruits for shrub making are rarely perfect. Farmer’s Market “seconds,” or any fruit that is abundantly in season and verging over-ripeness, are often used. After thoroughly washing and pealing, if necessary (apples and pears), the fruit is then chopped, or lightly crushed to shorten the infusing process. The type of vinegar used should be carefully considered as well in order to complement, instead of overwhelm, the fruit. That old rule about cooking with wine — don’t cook with anything you’d refuse to drink — comes in handy here, as shrubs aren’t the place for bargain brands or distilled white vinegar, which is too sharp and acidic. That said, distilled white vinegar provides for a clear, sharp flavor; apple cider vinegar tends to be milder with a fruity flavor; wine vinegars, while more expensive, often provide a superior smooth flavor and a balsamic vinegar is often used, and most delicious, when paired with cherries and strawberries. The fruit/vinegar mix is then sweetened with 1 ½ – 2 cups sugar. 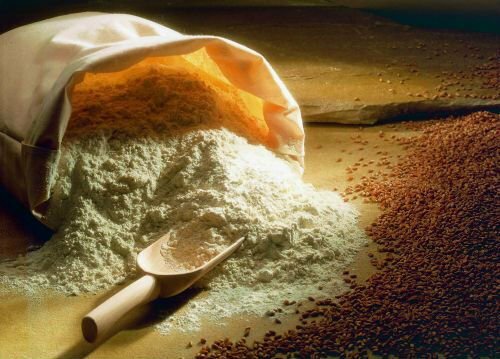 Sugar can be granulated, brown or raw. Honey or Agave may also be used. Ginger, Citrus peel, and even peppercorns have also been known to be added for flavor. The tonic that results from the combination of fruit juice, sugar, vinegar and spices is a delicious miracle. The two methods for processing are reducing or cold brewing. The syrup resulting from reducing is immediately available for use. It is recommended that the cold brewing method have a minimum of ten days to infuse. When properly prepared, shrub syrups can be stored up to six months. The Bear Lake Rendezvous is held at, of course, Bear Lake! What is synonomous with Bear Lake? Raspberries! 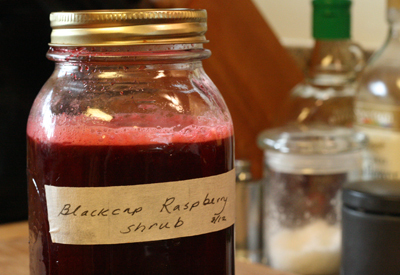 For that reason, it just makes sense to include a recipe for a basic Raspberry Shrub with this blog, courtesy of blogger, Tammy Kimbler (One Tomato, Two Tomato). Here you go! Sterilize a quart jar in boiling water for 10 minutes. In a saucepan, heat the vinegar and sugar until the sugar dissolves. Cool. When room temperature, add the raspberries to the jar and pour the vinegar/sugar liquid over top. Top with a lid and let sit for a week or two to infuse. Bear Lake Rendezvous intends to be present at The Annual Raspberry Days Festival held in Garden City. This year, the event takes place on August 6th-8th. 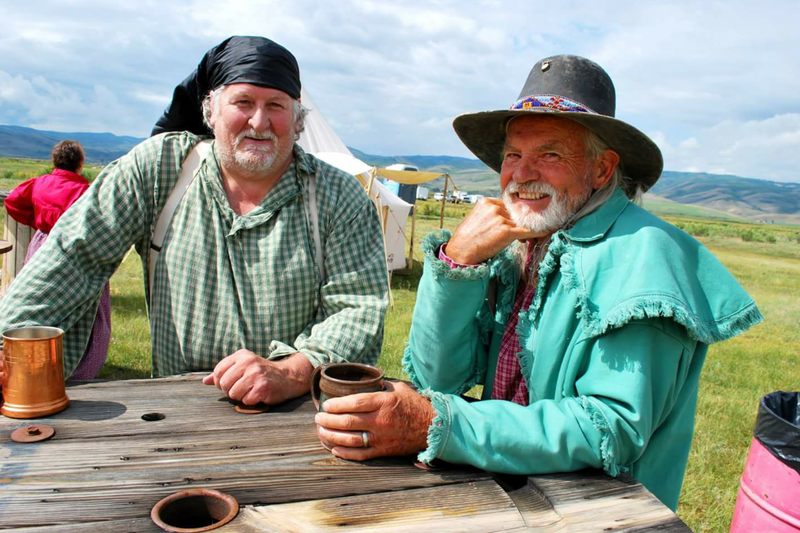 You may also register to camp in primitive or tin tipi for the Bear Lake Rendezvous scheduled a mere two weeks later, on August 21st – 23rd. Come on up and see us, and while enjoying the festivities of the Bear Lake Valley, enjoy a thirst quenching raspberry shrub or lemonade! “”The Indians have a tradition concerning a strange, serpent-like creature inhabiting the waters of Bear Lake, which they say carried off some of their braves many moons ago. Since then, they willnot sleep close to the lake. Neither will they swim in it, nor let their squaws nor papooses bathe in it. Now, it seems this water devil, as the Indians called it, has again made an appearance. A number of our white settlers declare they have seen it with their own eyes. This Bear Lake Monster, they now call it, is causing a great deal of excitement up here. S.M. Johnson, at South Eden, was riding along near the lake the other day when he saw something a number of yards out in the lake which he thought was the body of a man. He waited for the waves to wash it in, but to his surprise, found the water washed over it without causing it to move. Then he saw it had a head and neck like some strange animal. On each side of the head were ears, or bunches the size of a pint cup. He concluded the body must be touching the bottom of the lake. By this time, however, Johnson seems to have been leaving the place so rapidly he failed to observe other details. This was the second-hand account of a mythical lake creature, as reported by Joseph C. Rich, a Mormon colonizer, and published in The Deseret Evening News in the year 1868. The article created quite a stir in Salt Lake City, so much that L.D.S. 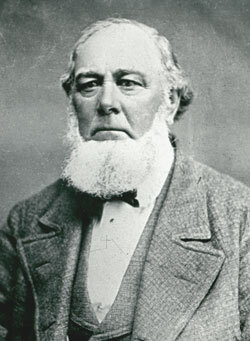 Church leader, Brigham Young, visited the area to investigate. L.D.S. Leaders dialogued with Charles C. Rich and other settlers from The Bear Lake Valley, regarding the lake monster. 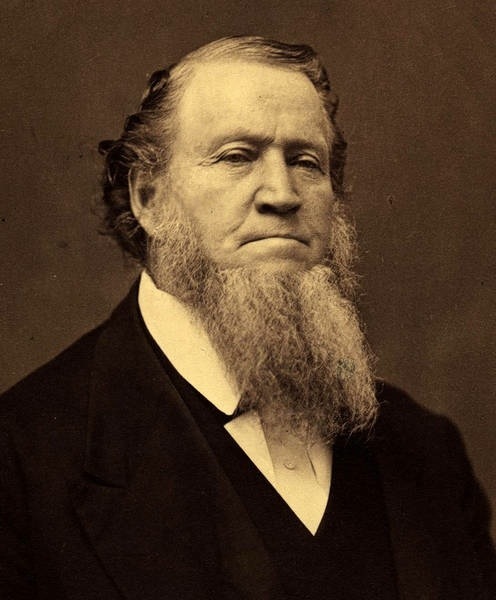 Considering the testimony that had been given “by so many individuals, who have seen a creature in so many places and under a variety of circumstances,” they considered the story to be “indisputable.” Brigham Young went so far as sending a large rope to Paris, Idaho to aid in capturing the monster. Young wasn’t the only person interested in capturing the creature. A local resident proposed using a large, baited hook attached to a twenty-foot cable and three hundred yards of one-inch rope, at the end of which was a large buoy with a flagstaff inserted, and an anchor to keep it in a perpendicular position. From the buoy, one hundred yards of three-quarter-inch rope was to be extended to a tree on shore. (Wow…I wonder if that resident went on to design the game, “Mouse Trap” or something…) If captured, the community felt the monster could serve as freak show type competition to the famous traveling circus of P.T. Barnum. • Its size was reported anywhere from 40 to 200 feet long. 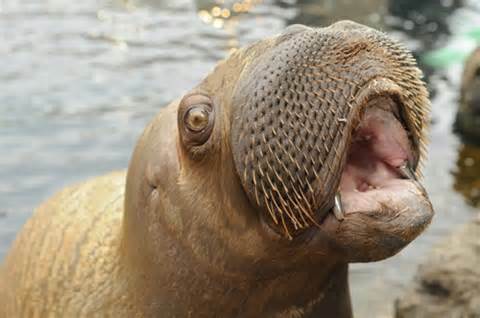 • Its head was described as that of a cow, a walrus without tusks, or like that of an alligator. • It’s eyes were very large and wide apart. • It had a large undulating serpent like body with about 30 feet of exposed surface at each sighting. • It was cream colored early on and somehow morphed into a dark, slimy green at last sighting. • It had ears about the size of a pint cup. • Although it had an unknown number of legs, their length was firmly established at eighteen inches long, Although walking on land was difficult for the beast, it was quite speedy in water. • There are claims of the monster swimming faster than a horse could run on dry land, or even faster than a locomotive (New name for the beast! Clark Kent, aka the SuperMANster!) reaching speeds of 60 m.p.h. • Some sightings even spoke of a second member of the species and smaller monsters as well. 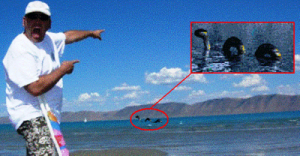 The Bear Lake Monster appears in Animal Planet’s “Lost Tapes,” drama series, in which it is depicted as similar to a crocodile or a mosasaur. The show portrays a group of girls who were attacked by the monster while staying in tents beside the lake. Most recently the search for this creature was the subject of SyFy Channel’s Haunted Highway Season 1, Episode 1 (2012) “Bear Lake Beast; vs Hairy Man.” In this show the investigators found a cow bone in a submerged cave, leading to the question: How did it get there? Bear Lake Monster? Or Muskrat? You decide. Since its first reported sighting in 1868, the Bear Lake Monster has become a part of folklore and a source of pride for the locals. In more recent years it has become a tourist attraction of sorts as the legend of the Bear Lake Monster has prompted an influx of tourists hoping to catch a view of the lake beast. A 1907 letter published in a Logan, Utah newspaper claimed that two men had seen the Bear Lake behemoth attack their camp and kill one of their horses. A man spotted the monster early one evening as he was walking along the lake. He tried to shoot it with his rifle. The man was a crack shot, but not one of his bullets touched that monster. It scared the heck out of him and he high tailed it home faster than you can say Jack Robinson. He left his rifle behind, claiming the monster ate it. Yep! Yep! Thar she blows!! My father, David Jasper Kearl III, shared a story with me recently about the monster. It was 1930-31 and he was all of 4-5 years old at the time. He recalls the excitement in town as members of the community came running up from the lake claiming that the monster had surfaced. The entire population of Laketown converged at the water’s edge in anticipation of spotting the mythical beast. It ended up being a rather large, swimming moose. A Boy Scout leader spoke of seeing it in 1946. The last reported sighting of the monster was in June 2002. Brian Hirschi announced that he had seen the creature, but skeptics were quick to point out that his story hit the newspapers on Memorial Day weekend — the start of the summer Bear Lake tourist season. It happened, he insists, one night in June 2002 as he was anchoring his large pontoon tour boat — ironically shaped like a sea monster — after a day of ferrying tourists around the 20-mile long, 8-mile wide and 208-foot deep crystal blue lake. After anchoring his vessel, he saw “two humps in the water” about 100 yards from the boat. At first, he thought they were water skis, but they disappeared. Then, his boat lifted up. 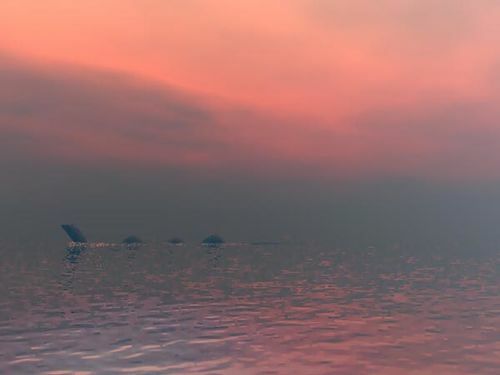 “The next thing I know, a serpent-like creature shot up out of the water.” He said it had “really dark, slimy green skin and deep beet-red eyes.” It sunk back down under the water as quickly as it arose, but not before making a sound like a roaring bull. Hirschi feared everyone would think he was crazy or out on the lake too much. But a year after his experience, he chose to break his silence. With the monster being quiet for the last little bit, people have started to say it is gone for good. What they don’t know is that while tag teaming the tethering of some skinned sticks in preparation for erecting a Tipi at last year’s BEAR LAKE RENDEZVOUS, Fuzzy and Kash were playing a lively game of “I Spy” when the monster surfaced again. “I spy a lake monster!” Fuzzy shouted. “Yeah, right,” Kash played along. “No! Really!” Fuzzy exclaimed. Being skilled trappers, one with imposing size and the other quick reflexes, Kash and Fuzzy took on the beast. The resulting skirmish went on for days, stirring numerous micro bursts around Bear Lake as the monster tried to drown the Mountain Men by blowing lake water from its tuba horn sized nostrils. (Remember how rainy the Rendezvous was last year? Well, it all makes sense now, doesn’t it…) Kash flung the monster by its tail to Fuzzy, who whipped the demon seed above and around his head so fast and high that it sailed halfway around the world, landing in Scotland’s Loch Ness. Mountain Men are known for their tall tales and this one seems mighty steep, but I do have it on good authority that CLARK KENT, THE SUPERMANSTER is making his way back home, via that watery, secret UNDERGROUND SNAILROAD, seeking what is sure to be a tale (yes, I meant tale, not tail) whipping, ginormous rematch with our fearless Members of the Board at the Rendezvous come August! 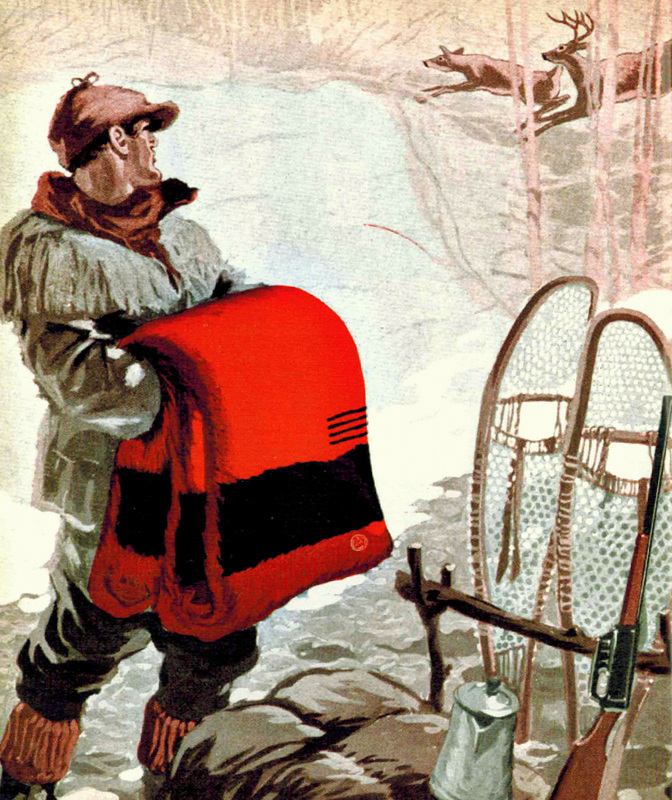 The equipment of the Mountain Man was, by necessity, rugged, durable and given the technology and materials of the times, generally heavy. 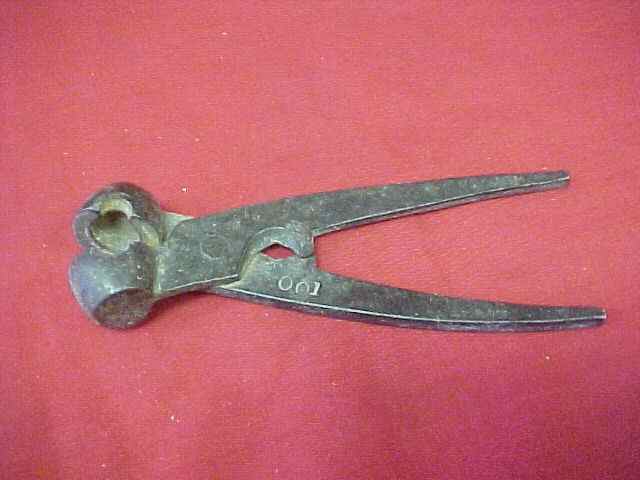 Awls and needles, used in Europe were made of iron. They were brought by the fur traders to North America and were quickly seized upon, by the Indians, as a superior implement to the sinew or rawhide thongs they used to sew, lace or bind rawhide. French trade awls generally appear to be straight, whereas English awls might be either straight or offset. 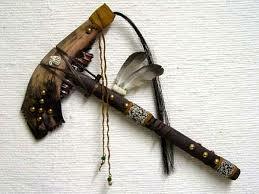 The Axe, Hatchet and Tomahawk have always been an important tool whether made of stone, bronze or iron. The axe was indispensable to the security, comfort and general morale of every person, both white and Native American, living on or beyond the frontier. A Boat (Bull Canoe, Flat, Keel or Pirogues) was used to move the Mountain Man and his gear. 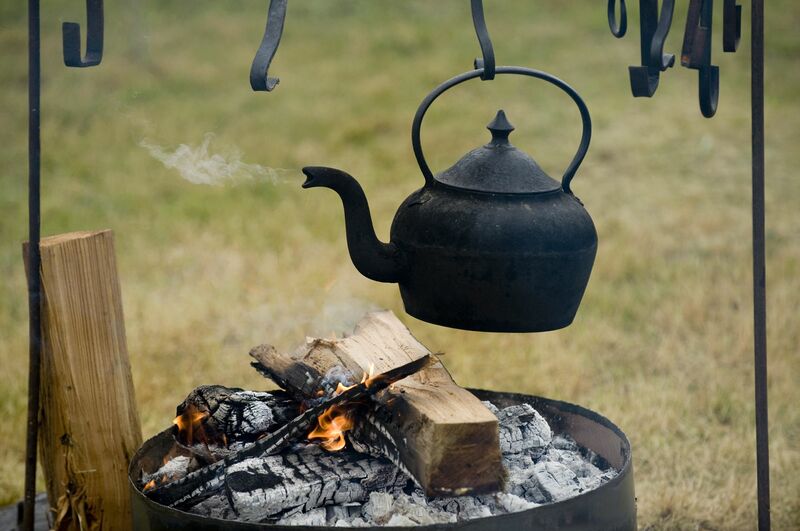 Flint and Steel The ability to start a fire could be the difference between a comfortable or miserable existence and even survival. 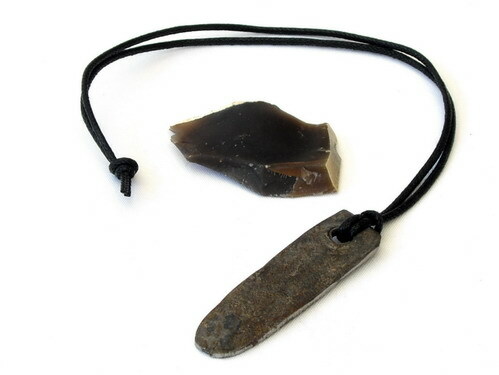 A fire-steel and flint was an integral part of every Mountain Man’s equipment. During the late eighteenth and early nineteenth centuries, the lightweight steel retailed for a cent or two, and was often given, without charge, to Native Americans as a token of good will. A fort or post without a resident blacksmith to manufacture fire-steels would, by necessity, import this essential item. 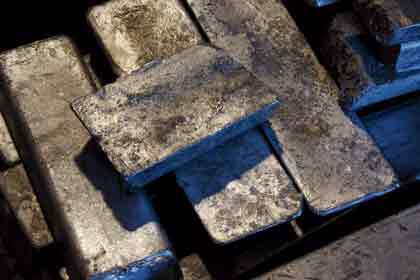 Huge quantities of fire-steels were shipped to the mountains for trade at the rendezvous. Rifle The gun was a mountain man’s constant companion. Many different types of firearms went to the western wilderness, including both percussion and flintlock rifles. Smoothbore weapons were also common especially as a trade item because of their relative low cost and because they could also be used as a shot-gun for small game. 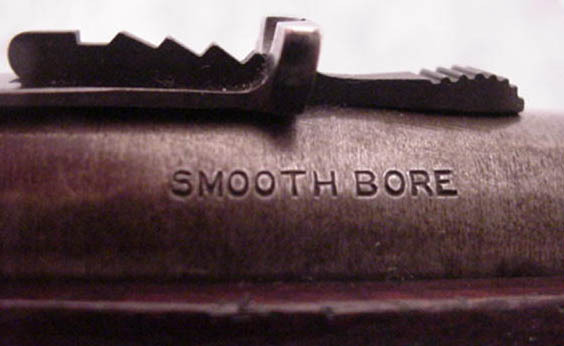 Smoothbores were especially popular because they could be reloaded on the fly while on a galloping horse. Knives were indispensable to living and surviving in the mountains. A knife was so personal and intimate to the mountain man that, if lost or stolen, a very determined effort would be made to recover the knife. This sometimes involved days of back-tracking or even risking mortal combat. The knife was essential to the trapper and valued no less by the Indian. When the Indians, who had murdered Hugh Glass and his companions, joined Johnson Gardner and his party one evening around a campfire, Glass’s knife was immediately recognized. Gardner’s party seized the Indians, demanding to know how they came by Glass’s property. 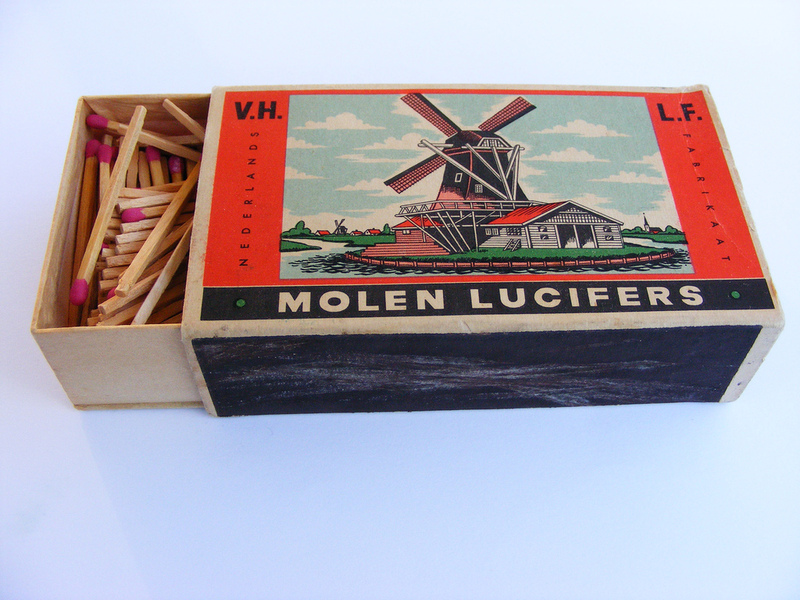 Lucifers were used more as a novelty item than as serious fire starting equipment. They were not available until 1836. 6-7 Beaver and Muskrat traps were all important tools. 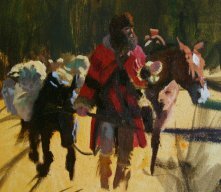 It usually took a full day to prepare the “sets,” to make the rounds of the traps, to skin the captured animals, and to flesh the pelts. Under favorable conditions a skilled trapper could be certain of taking a beaver at each set. Under very favorable conditions, certain traps could be visited twice a day, thus improving the average of six pelts per day. Prior to the coming of the white man and his steel traps, Native Americans had devised numerous types of deadfalls, underwater pens, snares, and other devices for drowning beaver. Almost, without exception, these devices were designed to quickly kill the beaver in a manner that would cause no breaks in the skin and no soaking of the fur with blood. It is reported that in some places beaver were so abundant that they could be taken by clubbing. In 1835, two Protestant missionaries traveling to the Oregon Country stopped at the Green River Rendezvous. Before volunteering for missionary service, Marcus Whitman had been a doctor who had practiced medicine in Canada. His training came in handy at the rendezvous. Whitman and Parker met in St. Louis in early April 1835 and traveled together via steamboat to Liberty, Missouri, where they joined the American Fur Company’s caravan to the annual Rocky Mountain rendezvous in western Wyoming. The caravan included about 50 rough-edged, hard-drinking, unchurched fur traders and voyageurs. The missionaries disapproved of their intemperate habits, and the men, in turn, resented the presence of the missionaries. “Very evident tokens gave us to understand that our company was not agreeable, such as the throwing of rotten eggs at me,” Whitman wrote to David Greene (May 10, 1839, ABCFM Collection). Whitman gained a measure of respect after an outbreak of cholera forced the caravan to halt for about three weeks near present-day Council Bluffs, Iowa. More than a dozen men, including the caravan’s commander, were sickened, and three eventually died. Whitman had had no direct experience treating the disease — a severe infection of the intestines, spread by contaminated food or water — but he had learned enough to associate it with lack of cleanliness. He recommended that the men be moved from a camp in a low-lying area adjacent to the Missouri River to “a clean and healthy situation” on a nearby bluff. In a letter to Narcissa, his wife, he attributed the outbreak to the traders’ consumption of alcohol and dirty water. “It is not strange that they should have the cholera, because of their intemperance, their sunken and filthy situation,” he wrote (June 21, 1835, cited in Mowry, 60). Jim Bridger asked Whitman if he would extract an arrowhead lodged in his back. 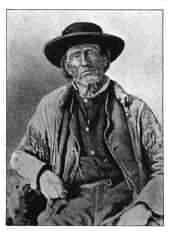 Three years earlier, Bridger and Thomas ‘Broken Hand” Fitzpatrick had led a party of trappers to the Madison River. Here, they encountered a band of Blackfeet Indians and, in the skirmish that followed, Bridger received two arrows in his back. After the battle Fitzpatrick dug one arrowhead out with his knife, but could not remove the second. The report on Dr. Whitman’s removal of the arrowhead explains why Fitzpatrick could not pull it out. “It was a difficult operation, because the arrowhead was hooked at the point by striking a large bone.” The three years following the injury, a “cartilaginous substance had grown around it. The Doctor pursued the operation with great self-possession and perseverance; and his patient manifested equal firmness.” A large audience, including many Indians, looked on in awe as Whitman successfully extracted an iron arrowhead three inches in length from Bridger’s back. Afterwards, another trapper asked Whitman to remove an arrowhead that had been stuck in his shoulder for two and a half years. The caravan reached the rendezvous site on August 12, 1835. News that a doctor had arrived spread quickly. “Calls for medical and surgical aid were almost incessant,” Parker wrote (Journal, 80) as Whitman’s reputation as a surgeon quickly spread throughout the camps at the rendezvous. Both Jim Bridger and another mountain man, Joseph L. Meek (1810-1875) would later send their young, mixed-race daughters to school at the Whitman Mission. Whitman and Parker were encouraged by the reception received at the rendezvous. 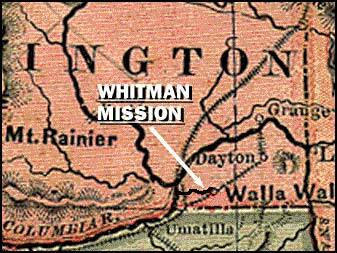 They decided that Whitman would return with the fur company to the East, to organize a missionary party to travel to Oregon Country the next year, while Parker would continue westward with Nez Perce guides to locate mission sites. In the early 1800’s it was generally believed that illness and disease were caused by an accumulation of “poisons” in the body, and that if these poisons could be eliminated, the patient would recover their health. Gastric and intestinal disorders were an everyday occurrence in these times because of poor sanitation, and poor food handling practices. People who lived in the 18th and early 19th Centuries were largely helpless in the matter of health. They lived in constant dread of sudden death from disease, plague, epidemic, pneumonia, or accident. Their letters always began and usually ended with assurances of the good health of the letter writer, a query about the health of the recipient, and a wish for continuing good health for all. Most doctors during this period learned their trade through apprenticeship and started as young as 15 years of age. Since, at the time, this was considered “middle age” it puts things in perspective. Most physicians opened their practices without the benefits of any degree or advanced training. Licensing of physicians was sporadic and medical practices were never inspected. The Mountain Men, although experiencing all manner of wounds, lacerations, hypothermia and the like, may have had more successful recoveries from some illnesses, precisely because they lacked access to “professional” medical care.